I’ve written about my Kindle and how it is one of the greatest gadgets of all times (even passing my pretty strict standards for useful electronics). I’ve also written about how awesome it would be to have a swap.com for Kindle books (which does exist, btw, but I haven’t used it much, since most of the books I own don’t qualify). But I never broached the topic of library books for the Kindle, because I didn’t see it happening. I love reading books on my Kindle. However, right now, I’m in a “no buying new books” mode, while I build my new business (official announcement coming soon!). So you can imagine my excitement when I happened to see that it is possible to borrow books for the Kindle from a site called NEIBORS on our public library website. This is powered by OverDrive (read the press release here). 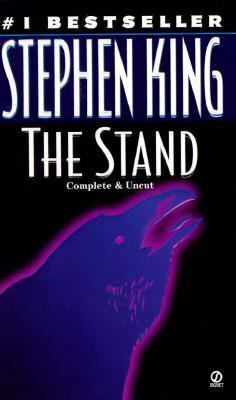 I’ve been on a Stephen King kick since I read his memoirs, On Writing , a few months ago, and I’m now reading my third King novel, The Stand , borrowed from the library, on my Kindle!! The process of borrowing the book was very simple, and I couldn’t be happier. If you have a Kindle (or other eReader), you should contact your local library to find out what options you have in your neck of the woods. Hurray for sharing, reading, helping the environment, and saving money! Library books for the Kindle rocks!!! !